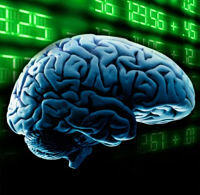 “…investigators are using functional neuroimaging to explore ways brain emotion reactions influence financial decision making. Researchers from United Arab Emirates University and the University of Toledo are investigating whether the brains of managers with different leadership styles function differently when making rational managerial and financial decisions. Measure – how managers use performance measures. It consists of ‘objective’ and ‘subjective’ performance measures. Objective refers to the way managers use quantitative measures linked with targets, while subjective refers to the use of qualitative measures. The team is using functional neuro-imaging to … investigate empirically whether brain activations vary for managers with different leadership styles; how manager’s leadership styles affect their use of performance measures (eg. in a rigid or lenient way); and whether misalignment between the leadership style of managers and their subordinates is related to various brain activations. The study will also investigate how brain emotion reactions influence financial decision making, particularly in situations such as proximity to debt covenant violation and managing earnings in response to that.